How Many .50 Caliber Bullets Does It Take To Kill A V8 F-150? "Built Ford tough" gets put to the test big time. There are a lot of ways to say goodbye to an old car. One of the more popular ones is to try , seeing how much punishment it can take in the process. This video is in that lane but much more awesome as it involves guns, specifically a Barrett M107A1 that shoots .50 caliber rounds. 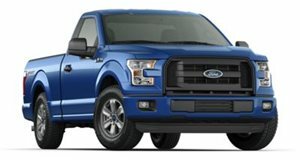 The truck in question is an F-150 with a 5.4-liter V8 engine. That’s a massive bullet, but these aren’t normal rounds. They’re designed specifically for use against armored or flammable targets. So, just how much punishment can an F-150 engine take? The answer is surprisingly a lot. Check out the video to see just tough Ford tough is.